Western Skies is located east of Phoenix in Gilbert, Arizona. Western Skies is a beautiful community with sweeping golf course views and conveniently located with shopping and dining nearby. Western Skies is comprised of both two story and single story homes with many backing onto the golf course. 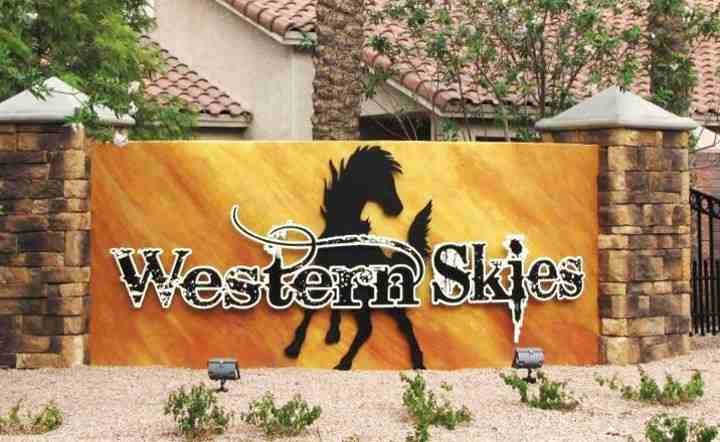 Western Skies is conveniently located near shopping, restaurants and freeway access at Ray Road and Val Vista Drive. Below are the latest listing for sale in Western Skies. Our Russ Lyon Sotheby's Real Estate experts can guide you through the current homes for sale and help you with your search for the perfect home in Gilbert. To set up a private tour of any home you see here contact us at; 888-316-4622.